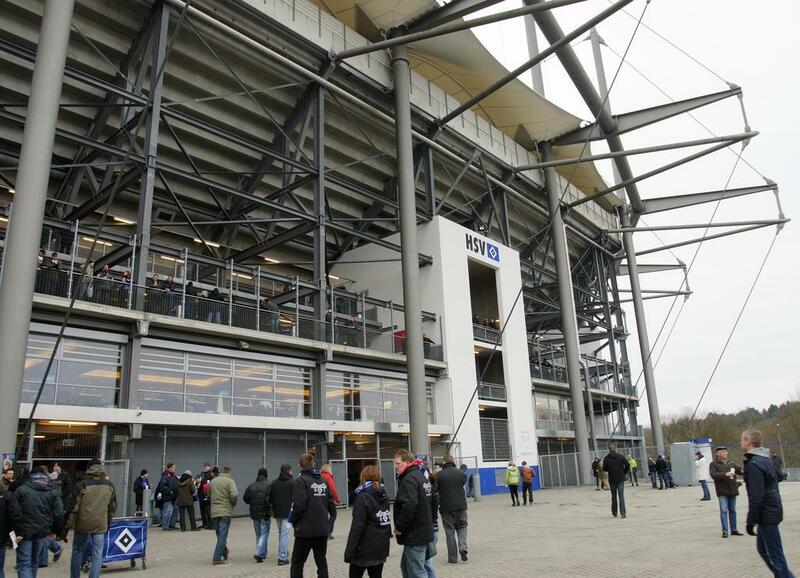 The stadium, built in 1953, was first called Volksparkstadion. 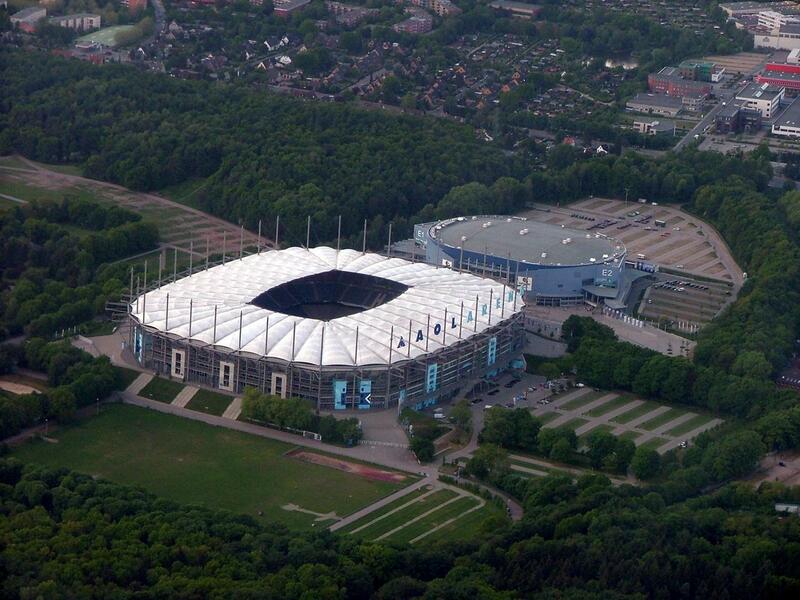 Between 1998 and 2000 it’s been torn down and replaced by a whole new structure. 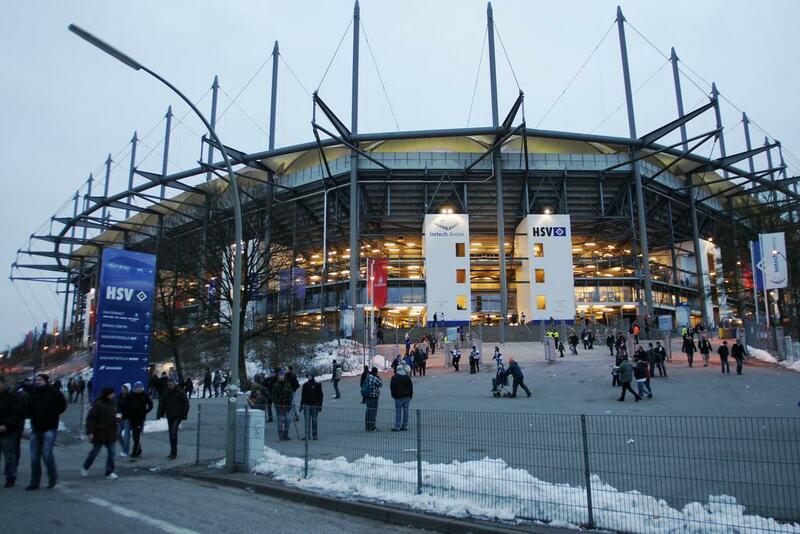 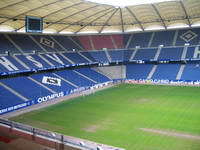 Although new, the ground is still called Volksparkstadion by most fans. 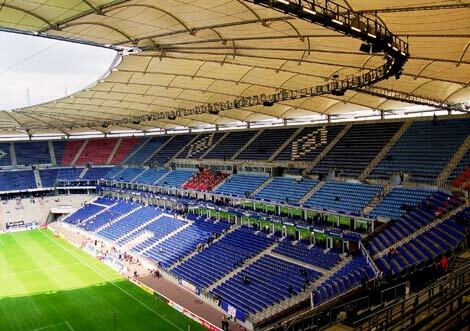 Construction cost was at around €97 mln. 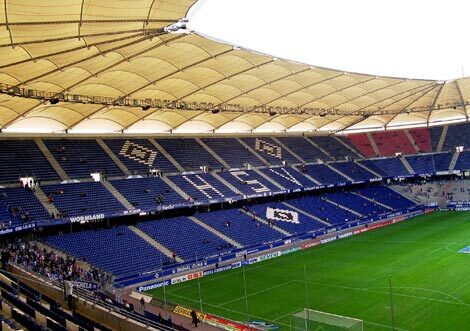 The venue designed by Mos Architekten and SBP engineers has two tiers of seating and standing (though terraces are placed only on the lower tier for home fanatics and away fans) that can take up to 57,000 people. 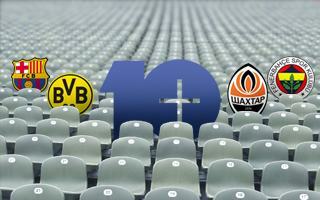 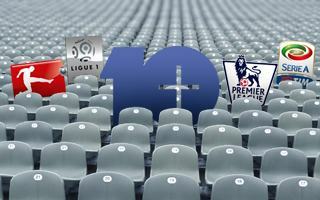 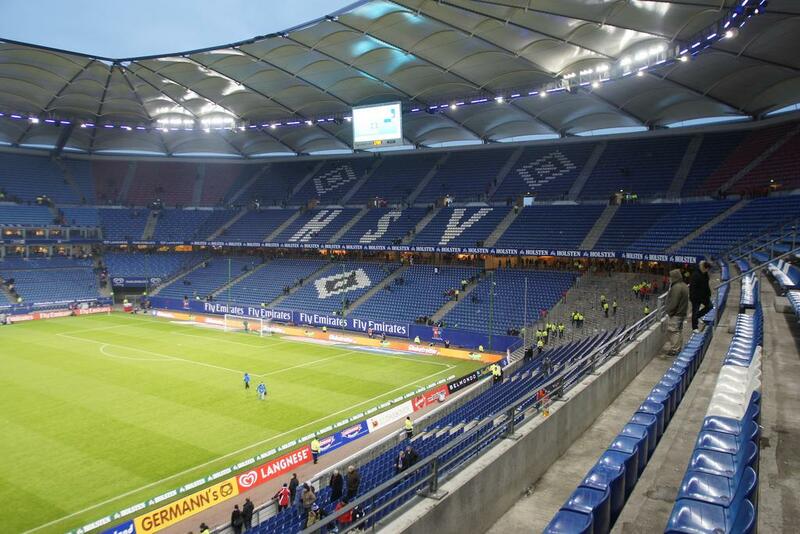 Matchday attendance is close to that number, setting HSV among Europe’s top clubs in terms of active fanbase. 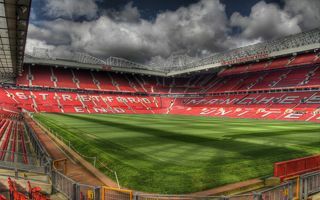 That’s especially good news for the club that previously only leased the ground, but since the redevelopment is the actual owner. 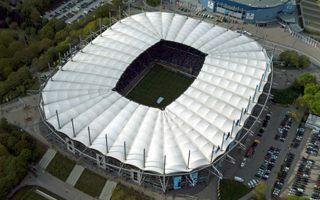 Light membrane roof covers all spectators while pylons supporting roof are also used as exposition space for naming rights holders that change rather frequently. 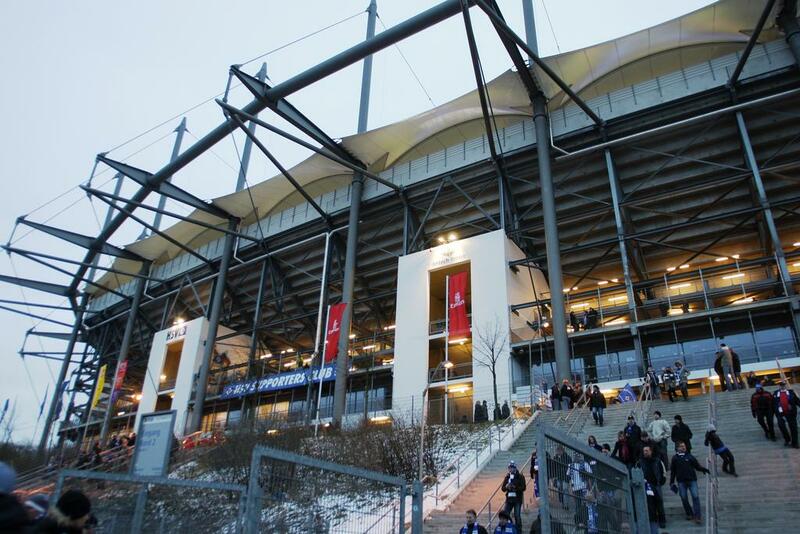 Opening game of the historical ground was a Germany-Greece international. 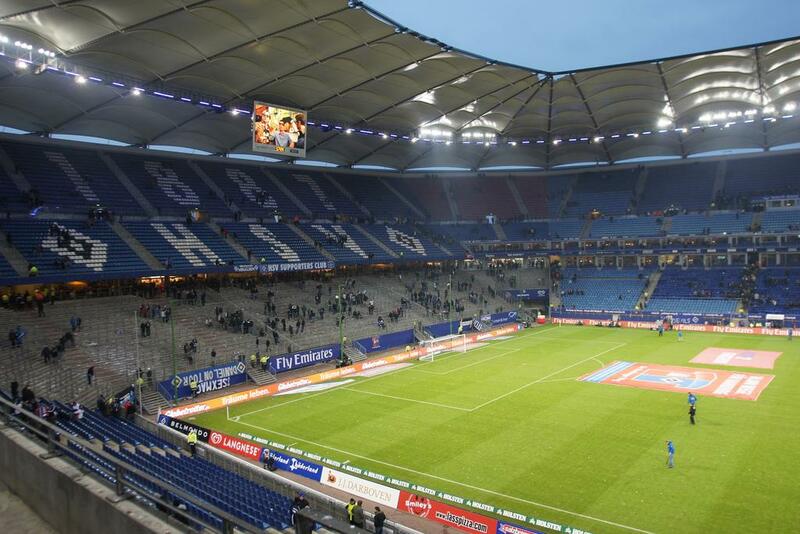 However there’s a lot more memorable moments that happened here. 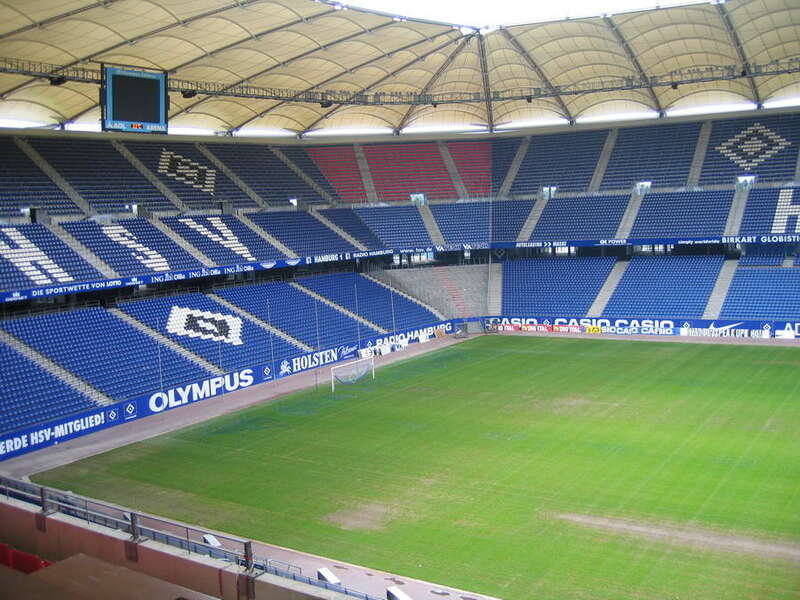 In 1974 the “German derby” of West and East Germany was set here with the home side losing 0:1. 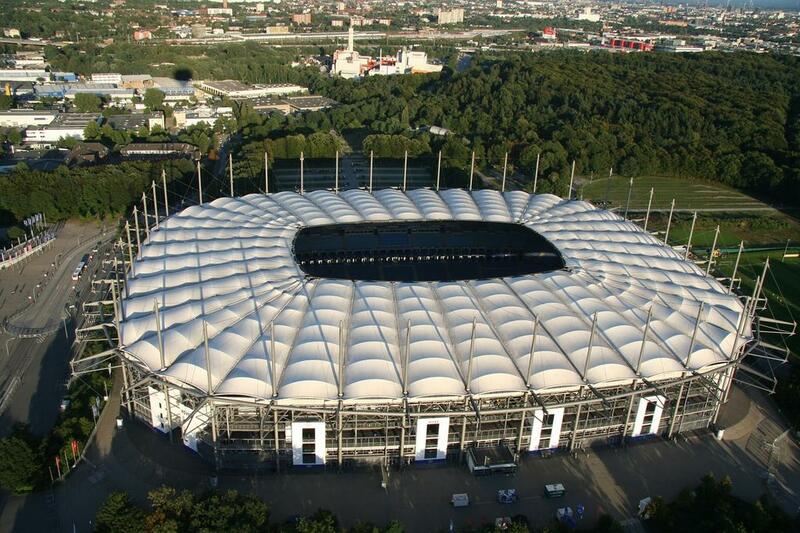 Then there was Euro ’88 and after rebuilding the ground also 2006 World Cup and 2010 Europa League final. 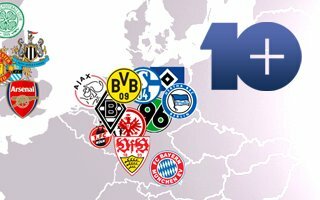 The Bundesliga team decided to cancel season ticket privileges of roughly 600 people who attended „significantly less than 12 games” of the past season. 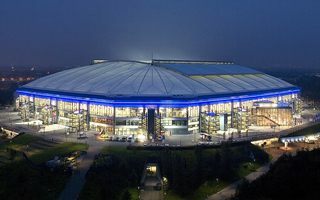 The Gelsenkirchen stadium proved to be Germany’s most attended sports and entertainment venue in 2014, surpassing Munich’s Allianz Arena. 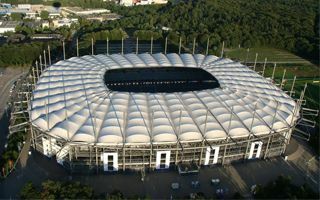 2,366,568 people visited the stadium. 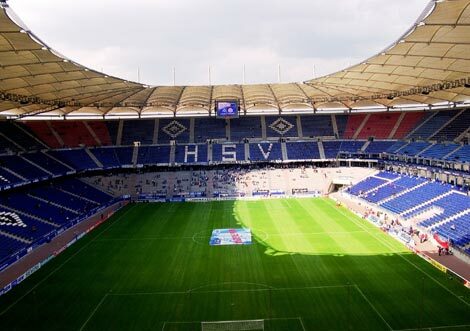 Hamburger SV isn’t a club owned entirely be fans any more, becoming a joint-stock company. 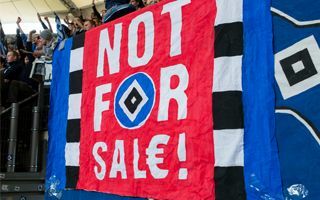 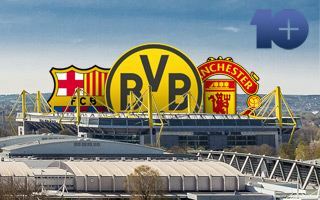 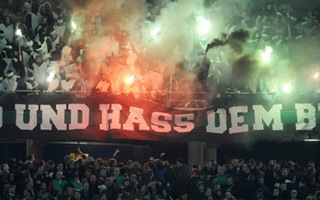 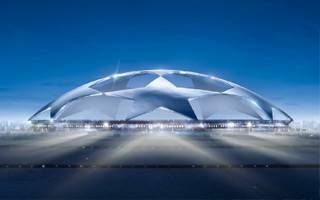 That was the last straw for Chosen Few, the group creating vibrant atmosphere at Volksparkstadion. 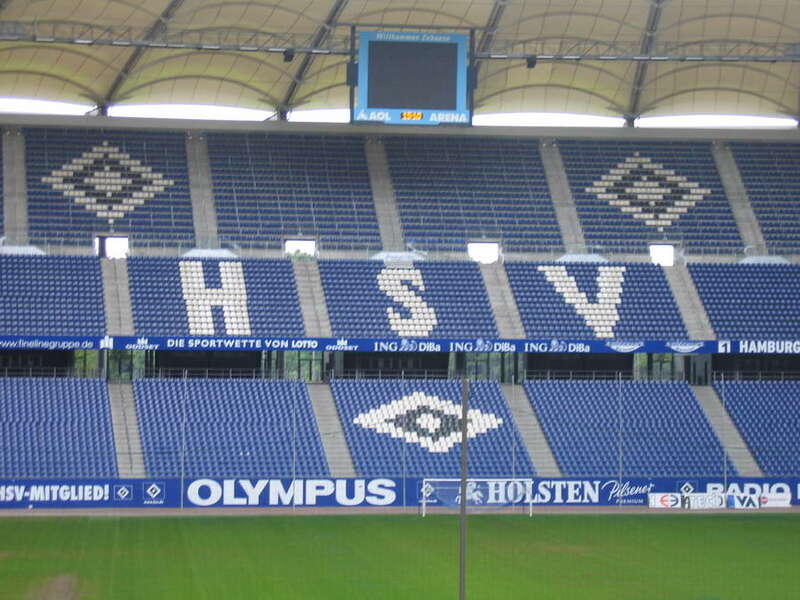 Supporters of HSV decided to celebrate their club's 125th anniversary in a unique way. 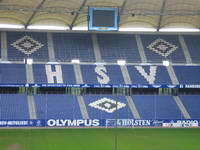 With budget in excess of €70,000 they've managed to prepare 45,000 banners that created the largest tifo of its kind ever.